As one of the leading epoxy floor companies in Riverside, our epoxy floor contractors have decades of combined experience installing specialized epoxy solutions for homeowners and commercial properties. This versatile floor system can be used for a wide range of applications with benefits you can’t get with other floor systems. No matter what you are envisioning, we can make it happen with custom epoxy formulations. Contact us to learn more about our Epoxy services & request an estimate. It may look like paint going on but epoxy flooring isn’t paint. It’s a robust and versatile flooring system created when resin and a hardener are combined and chemically react to form an ultra-strong plastic material. Epoxy floor coatings bond with the concrete substrate to create a floor that’s stronger than concrete itself. Epoxy is so strong that it’s frequently used in high-demand industrial applications. Because it resists damage and degradation from everything from heavy loads and vehicle traffic to spills and chemicals, it’s the ideal floor system for almost every application. We install epoxy flooring in Riverside, California for high-traffic areas and demanding environments like medical facilities, shopping centers, schools, and factories. We also serve homeowners with epoxy garage floors and epoxy basement floors for affordable yet attractive flooring that stands up against everything you throw at it. Whether you’re finishing a basement or upgrading the floor system in your commercial property, our epoxy floor contractors can help. We offer a variety of epoxy flooring services for residential and commercial customers in Riverside, California. Learn more about our services then give us a call for a free estimate. It’s a common misconception that epoxy flooring is only made for commercial facilities. There’s a growing trend to use epoxy in residential areas in Riverside thanks to its customizable appearance, durability, and low cost. An epoxy basement floor in Riverside delivers a waterproof floor system that’s easy to clean, bright, and inviting. Garage floor epoxy creates a dust-free garage that resists damage from oil and gas spills. Epoxy can also be used in other living areas for a high-performance yet low-cost floor. 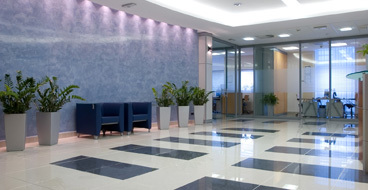 Your commercial facility requires flooring that can meet the high demands of your business. We serve business owners throughout Riverside, California with a variety of commercial epoxy flooring formulations built to last. Epoxy floors are USDA approved for hygienic and easy-to-clean floors in kitchens, bathrooms, restaurants, and hospitals. Epoxy can withstand heavy-duty cleaning protocols and resist damage from impact, heavy traffic, forklifts, and more. It’s also attractive and can be customized to fit the look of your business. 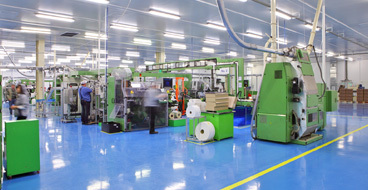 Our specialized epoxy floor coatings in Riverside are the ideal solution for high-demand industrial applications. We serve a range of industries with customized epoxy installation that can withstand almost anything. Our high-performance industrial grade epoxy offers excellent skid-resistance to support a safe work environment. The epoxy can withstand heavy loads and machinery, vehicle traffic, chemical spills, and other intense conditions without damaging its appearance or performance. Epoxy flooring doesn’t need to be bland and industrial. We can achieve any look you want with a variety of colors and effects. One of the best options for a truly custom look is a metallic epoxy floor coating. A metallic epoxy floor is created with glittery metallic pigments in the resin that catch the light differently from every angle. The pigments are agitated and dispersed with solvents, brushes, and leaf blowers to create craters, ripples, and unique effects. Your floor will resemble colored glass, melted metal, lightning, or anything you can dream. Tired of your dusty, worn-out garage? Want a garage fit for working on your car or using your workshop? Our garage floor epoxy in Riverside, California delivers a seamless and attractive epoxy system that can handle anything you throw at it. Garage epoxy withstands oil and automotive fluids, water, dropped tools, hot tires, and much more without showing wear and tear. It’s also easy to clean and lasts a long time for the best value. One of our most popular services is garage epoxy floor coatings. As a homeowner, epoxy can deliver a smooth, durable garage floor that’s almost impossible to stain or damage. Imagine walking into a bright, clean garage every day with no concrete dust getting tracked into your home. 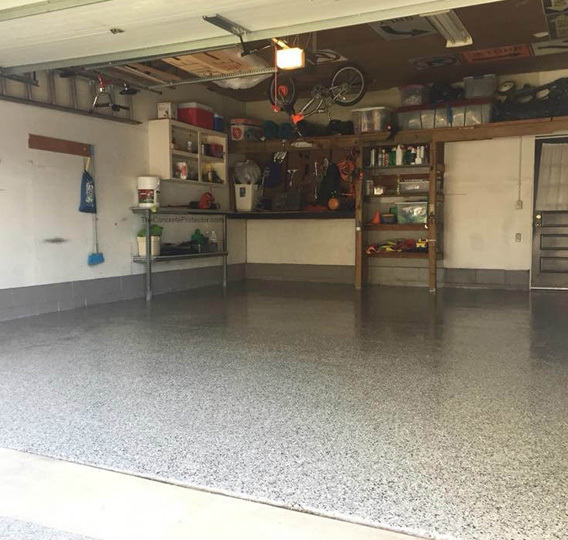 Whether you are a home mechanic, hobbyist, or you just love the idea of a garage you can actually enjoy using, garage floor epoxy in Riverside can deliver what you’re looking for. Garage epoxy can be simple and understated, such as modern and crisp white floor, or it can be vibrant and impressive, such as a candy apple red showroom floor. We can even achieve decorative finishes that are one-of-a-kind. Flake epoxy is a great choice for achieving a multi-color effect or we can install a metallic epoxy garage floor that looks like colored glass or water. Riverside homeowners and facility managers have many reasons for loving epoxy flooring systems. Epoxy is versatile, attractive, clean, and easy to maintain with unique properties you won’t find with other floor systems. Here are the top benefits you can enjoy with epoxy floor installation in Riverside. Call Now! 951-418-3352 or fill out the form below and someone from our team will be in touch with you shortly. Curious if epoxy flooring is a good fit for your home or business? We are just a call away! Here are some frequently asked questions to get you started. How long does it take to install a new garage floor epoxy system? As one of the leading epoxy flooring companies in Riverside, we have the experience and equipment necessary to deliver garage epoxy systems in no time. 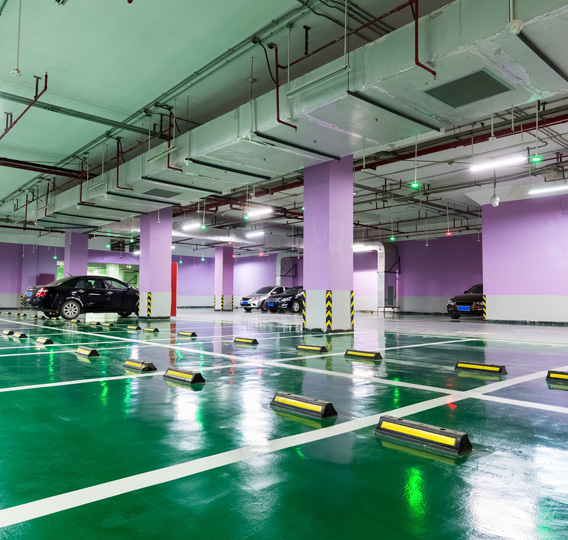 In most cases, garage floor epoxy in Riverside, California is installed in just one day, including surface preparation.You will still need to wait up to a few days for the epoxy to completely cure before driving on the surface, however. How is the surface prepared for epoxy coatings? We take concrete floor preparation very seriously. Our epoxy contractors recognize that proper preparation of the surface is the single most important factor to achieve a superior bond and long-lasting results. We will take the time to lift stains like grease and gas that can prevent the epoxy from bonding with the concrete substrate. Joints and cracks will also be filled with epoxy to achieve flawless, glossy, and smooth results. Any damage to the existing concrete must also be repaired. Once your concrete is clean and repaired, our contractors use diamond grinding equipment to profile the surface, open pores, and remove surface irregularities. This is key to helping the epoxy achieve a strong bond without peeling down the road. How long will epoxy flooring really last? Depending on where it’s installed and the amount of wear it faces, an epoxy floor coating in Riverside can last anywhere from 5-10 years or up to 20+ years. Residential epoxy flooring that’s installed in a garage, basement, or living area typically has the longest lifespan and may last decades. Even commercial epoxy flooring installed in hospitals and businesses can last at least a decade with proper care. Yes, we are happy to provide free written estimates upon request. Please give us a call to set up a time to look at your concrete to give you an accurate estimate. Installation. DIY epoxy kits do not come with high-grade epoxy and the results will never compare to professional installation with proper concrete preparation. 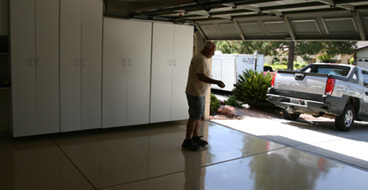 Experienced epoxy garage floor installers can deliver the longest-lasting results. Epoxy quality. We use only high-quality epoxy solutions for superior results. Concrete preparation. How well the concrete is prepared for epoxy floor installation is directly related to the appearance and performance of the floor system. Wear and tear. Consider the types of hazards your floor will face when choosing an epoxy system. We offer many specialized formulations to meet a variety of applications.